Personnel – AXIS Family Mediation Inc.
All mediators and Information & Referral Coordinators (IRC’s) have been approved by the Ministry of the Attorney General of the Government of Ontario, to provide services to the Ministry’s strict standards. For our mediators, and amongst other impressive credentials, this includes having either the designation of Accredited Family Mediator (Acc.F.M.) from the Ontario Association of Family Mediation (OAFM), and/or Certified (Comprehensive) Family Mediator (Cert.CFM) status from Family Mediation Canada, and/or Chartered Mediator (C.Med) from the Alternative Dispute Institute of Ontario (ADRIO) and/or Family Dispute Resolution Professional in Mediation (FDRP Med.) from the Family Dispute Resolution Institute of Ontario (FDRIO). Our mediators work in our various locations, and most in more than one. Please click on any staff member below for a more complete biography and to view his/her Curriculum Vitae. 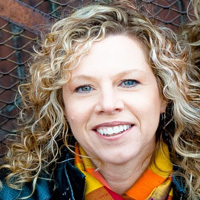 Tamara has been the director of AXIS Family Mediation Inc. since its inception, and mediates on-site at all of the courts that AXIS provides service to, off-site via the roster, acts as IRC on occasion and is a both a MIP facilitator and presenter. She has been mediating professionally in Hamilton since 1998. She has mediated more than 5000 cases, and is known for having an extraordinarily high settlement rate. Tamara’s academic background includes a specialized Master’s Degree in Judicial Administration, a post-graduate diploma in Regulatory Law and one of her two undergraduate Honours B.A.’s is in Law in Society. Tamara has taught courses on Family Mediation at McMaster University for eight years, guest lectured at various colleges, universities, workshops and training programs, including the Ontario Police College. Tamara trains mediation students, both at the practicum and internship levels. In terms of Professional Associations, Tamara is an accredited family mediator (Acc.F.M.) with the Ontario Association of Family Mediation (OAFM), a lifetime member of Family Mediation Canada (FMC), a Family Dispute Resolution Professional in Mediation (FDRP Med.) with the Family Dispute Resolution Institute of Ontario (FDRIO), and an Accredited Employee Assistance Mediator through ADRNET. She is also a member in good standing with the Network (interaction for Conflict Resolution), The Society for Conflict Resolution (SCRO), The society of Professionals in Dispute Resolution (SPIDR)/ACR NET, The Academy of Family Mediators/Mediate.com, The ADR Institute of Ontario, the ADR section of the Ontario Bar Association and The Association for Family and Conciliation Courts (AFCC). 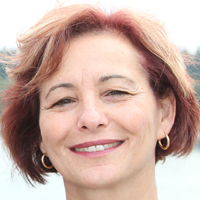 Tamara is the president elect of Family Mediation Canada, as well as being on their Board of Directors, Executive Committee, Past Treasurer and chair of the Practice and Ethics Committee. Tamara sits on many other committees and Boards of related groups and community organizations, such as the Legal Aid Ontario Advisory Committee. When not mediating, she is a loud hockey mom, exhausted dance mom, and dedicated dog mom. In rare moments of leisure, she can be found devouring a good book, or toting around on a vintage scooter. Complete Curriculum Vitae of Tamara Bodnaruk-Wide. 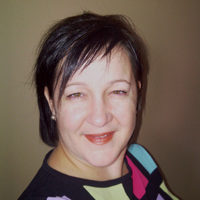 Alicia has a combined Honours Bachelor of Arts in English and Women’s Studies and also a Master of Social Work. She has an impressive history of related work experience which started in high school when she was chosen to be the Family Court On-Site Mediation Office’s first cooperative education student. From this coop placement she worked administratively for a mediation company which led to a position as a legal assistant for a busy family law lawyer. Her formal education, years of experience working in family law, and her extensive training in domestic violence has laid the groundwork for her ability to provide information and resources to those in the midst of their own family law dispute. In her limited spare time, Alicia volunteers to raise awareness about sexual and domestic violence at events such as Take Back the Night in the community. She brings her extensive experience in dealing with all types of clients to the Family Law Information Centre. As busy as she is, Alicia still finds time to teach BODYCOMBAT at Goodlife Fitness and participate in local triathlons and travel with her husband. Her most notable trip so far was her trek through the Salcantay Glacier trail in Peru. Complete Curriculum Vitae of Alicia Ziemiak-Overgaard. 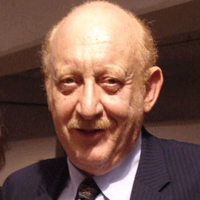 Robert Murdoch completed his Bachelor of Science in Electrical Engineering from Queen’s University in 1970 and his Bachelor of Arts in Fine Arts from York University in 1974 before completing his Bachelor of Laws program at the University of Windsor in 1983 and being called to the Bar in 1985. Since becoming a lawyer, Robert worked as an associate with two (2) large Hamilton law firms before entering into his own practice in 1991 where he now focuses almost exclusively on family law. Robert has been extensively involved with the Hamilton Family Law Association Family Law Executive where he has organized and presented at numerous continuing education seminars and workshops. 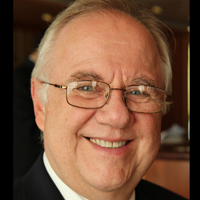 He has served as the Co-chair of The Executive and has sat on the Family Court Community Liaison Committee. 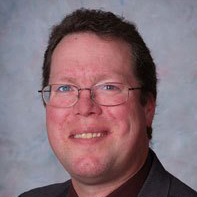 Robert’s interest in mediation led him to several training programs before he entered into an internship at The Family Court Mediation Service in 1997 where he was able to hone his mediation skills, especially with respect to the issues related to family dynamics and development. Robert has been on the AXIS team of mediators since its inception in 2008, and was an original court-connected mediator in Hamilton (1999-2004). He is a very well respected mediator in Hamilton and provides comprehensive mediation services through his private practice. He is a roster mediator for The Ontario Child Protection Mediation Roster, does Legal Aid Mediations and is an OAFM Accredited Family Mediator. Robert has also been involved in outreach, providing education within the community about the option of mediation and FLIC services. He has provided on-site mediation services on occasion and has also been a facilitator for the Parenting After Separation workshops. Robert is well respected by the Hamilton Bar and community as a lawyer and as a mediator. Complete Curriculum Vitae of Robert Murdoch. Virginia Mendes da Costa’s is a sole practitioner lawyer and mediator, focusing on family law. She is also a member of the major Government of Ontario family law panels — the Family Responsibility Office Panel, the Children’s Lawyers Panel (formerly the Official Guardian Panel), the Children’s Lawyer Secure Treatment Panel, the Legal Aid Mediation Panel, and the Public Guardian and Trustee Panel. She continues to participate extensively in the Hamilton Law Association Family Law Executive, including organizing and presenting various continuing education seminars and workshops in areas of family law practice and procedure. Virginia is also a Deputy Small Claims Court Judge for Hamilton. Virginia is an Accredited Family Mediator through the Ontario Association of Family Mediation, a member of Family Mediation Canada, Professional Issues Committee of the Hamilton Law Association, The Continuing Legal Education Committee of the Hamilton Law Association, The Subcommittee on Supervised Access, the Community Liaison Committee, The Family Law executive of the Hamilton Law Association, The Association of Family Mediation and Conciliation Courts, The Hamilton Law Association, and the Canadian Bar Association. In terms of community involvement, Virginia co-founded a “mentoring program” for young female lawyers in the Hamilton legal community, has presented and taught numerous seminars, courses and presentations on family law issues. Further, she is the of the Board of the YWCA of Hamilton, a member of the Women of Distinction Awards Dinner Committee and Chair of the Dinner Organization Committee, Past President of the Jewish Community Centre of Hamilton, and presently chairing a Committee for accessibility to the Centre. She is a member of the Board of the Hamilton Jewish Federation, is a past president of the Jewish Community Centre of Hamilton-Wentworth, and past-Vice President of the Jewish Community Centre of Hamilton-Wentworth. Complete Curriculum Vitae of Virginia Mendes da Costa. 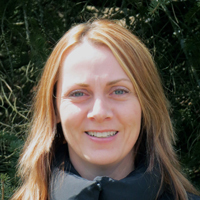 Tonya Brock is both an IRC and Mediator primarily at our Kitchener-Waterloo and Guelph locations. She is an accredited family mediator with OAFM and has been mediating for the past decade. Her mediation experience spans neighborhood disputes, first time victim-offender and for the past 5 years, divorce and separation. With hundreds of mediations under her belt, Ms. Brock boasts an overall 91% resolution rate for partial and full agreements. Ms. Brock specializes in custody, access and child support issues. Her non-judgemental approach focuses on empowering couples to find their own solutions while keeping the best interest of their children at the center of all their decisions. Clients emerge with both a resolution and a feeling of empowerment. Ms. Brock helps couples assess and work within their strengths. While mediation is often tense and challenging, Ms. Brock brings enthusiasm, humor and a light hearted approach when appropriate and helpful. Tonya Brock is dedicated to insuring success by helping couples determine if mediation is right for them. Once they are on board, Ms. Brock brings a ‘Never Give Up’ approach to resolving all issues with every couple that is doing their best. Ms Brock is also certified in conflict management mediation, volunteered on a suicide hotline, and supervised child access visits at Family and Children’s Services. This experience has help foster her deep concern and compassion she brings to every case. Complete Curriculum Vitae of Tonya Brock. Jason Dykstra is a Conflict Management Specialist who has helped families, businesses an congregations transition from conflict situations to creative solutions. He does this through leading people through varying processes including, mediation, group facilitation, conflict management coaching, consulting and training for people to understand the role of conflict in their lives and how they can engage with it to better their relationships. Jason has a Bachelor of Arts with a double major in English and Psychology from Redeemer University College that is complemented by an Advanced Certificate in Conflict Management and Mediation from Conrad Grebel University College. He has received the designation of an Accredited Family Mediator from the Ontario Association of Family Mediation (OAFM) and is an active member of the Alternative Dispute Resolution Institute of Ontario (ADRIO). Jason brings with him a rich background in the social service field where he has worked with individuals with developmental disabilities, mental health, at-risk youth and individuals involved in the criminal justice system. Complete Curriculum Vitae of Jason Dykstra. 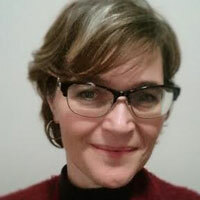 Rita Czarny has more than twenty years experience in the field of dispute resolution, and offers services in both French and English. Rita is a founding member of Dialogue, the first bilingual Community Mediation Services in Toronto, Independent Complaint Facilitator with OACCAC, and specializes in family and intergenerational conflicts, divorce/separation; Workplace, contracts, partnerships; Condominium, co-ops, landlord/tenant, real estate; Communities, Schools, Governmental Agencies, Children’s Aid; Multicultural and Multilanguage parties, disability/medical issues; and Small Claim, Civil and Family Court, Immigration; Victim/Offender; Conferencing circles. Rita is a chartered mediator (c. Med. )With the ADR institute of Canada inc.; Accredited Family Mediator (ACC.F.M.) With the Ontario association of family mediators (OAFM); Reality Therapy Certified(RTC)with the William Glasser Institute for Choice Theory, reality therapy and lead management; An active member of the Association des Juristes D’Expression Française de l’Ontario (AJEFO) ; past area governor, past president, ATM Silver (CL) Toastmasters International; Immediate past president of Ontario Association of Family Mediators – York county region; and an active member of the Society of Ontario Adjudicators and Regulators (SOAR). Rita practices a model of co-mediation with her husband, Sam Czarny, who is also a mediator. They find it invaluable to have four ears during the mediation process and the parties really appreciate having both genders as mediators. Rita specializes in restorative circles. During this process of true communication, individuals connect with their inner feelings and with each others in a compassionate way. Rita has a dog Rolex, who is her watch dog, and a cat named Felix. Both pets like to participate in the process of mediation if and when they are invited. Complete Curriculum Vitae of Rita Czarny. Samy Czarny is on our team as a bilingual mediator (both on and off-site), bilingual Information and Referral Coordinator, and bilingual MIP presenter (Mental Health Professional). In addition to being on our team, he is also on the rosters for Peel Family Mediation Services, Mediate 393 Inc., Mediate 47 and Mediate 311 in Toronto. Samy brings experience mediating for the Ontario Mandatory Mediation Program, the Toronto Small Claims Court Mediation, Conflict Mediation Services, and Restorative Circles as well as having a successful private practice of family and inter-generational mediation. Samy is an Accredited Family Mediator with the Ontario Association for Family Mediation (OAFM), a Qualified Mediator with the ADR Institute of Ontario (QMed), as well as being a member of the Association of French Speaking Jurists of Ontario, a member of the Centre for Non-Violent Communication and a member of the Restorative Circle Community. Samy is an active member of Toastmasters, a volunteer for the Betel Centre for Creative Living, volunteer at the Oasis (Centre des Femmes) and also a volunteer at the Association of Parents Support Group of Ontario. Complete Curriculum Vitae of Samy Czarny. Heather primary IRC at our Waterloo Region FLIC office, but is trained to, and does fill-in at our other locations if called upon to do so. 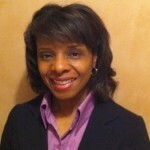 She is also a trained MIP facilitator and presenter. 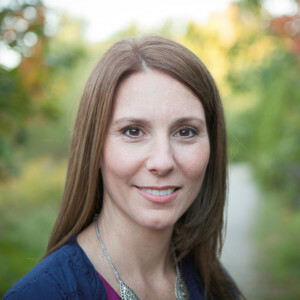 Heather has a Bachelor of Applied Arts Degree, a Certificate in Conflict Management and Mediation (ADRIO Approved) from Conrad Grebel University College (University of Waterloo), and has taken many courses which assist her to be knowledgeable in areas related to family court and its interlinked community resources. Heather currently volunteers with Haldimand-Norfolk REACH as a Youth Justice Committee Volunteer, and is active in little league baseball. Complete Curriculum Vitae of Heather Easton. B.S.W., R.S.W., M.S.W, Acc.E.M., Acc.F.M. B.S.W., R.S.W., M.S.W., Acc.E.M., Acc.F.M. Kim Goldstein is an experienced Clinical Social Worker, Designated Capacity Assessor and Accredited Family and Elder Mediator (OAFM). Kim has a Master’s of Social Work Degree from Wilfrid Laurier University. She has held many social work and management positions in community organizations and long term care homes. She is also an active Designated Capacity Assessor. Kim studied Therapeutic Family Mediation at University of Toronto and Tranformative Mediation at Conrad Grebel University. Kim uses both approaches to help people cope with conflict and the challenges of life’s transitions. Coaching family members is an integral part of this process as well; keeping in mind the best interest of the vulnerable clients including children and seniors. She is currently a roster mediator at the SCJ Family Court in Hamilton and the SCJ court in Brampton. Kim strives for a balanced lifestyle and enjoys spending time with her family, volunteering, travelling around the world, gardening and interior decorating. Complete Curriculum Vitae of Kim Goldstein. Charles “Chuck” has been in private practice as a mediator since 2000. He performed Labour and Employment law ADR processes until 2007, when he earned his Chartered Mediators certificate. At that time Chuck started arbitrating on a full time basis, and expanded his practice to include comprehensive family mediation, civil and construction mediation. Chuck is both a Charted Mediator and Chartered Arbitrator with the A D R Institute of Canada and it’s affiliate ADR Ontario. He has completed extensive ADR training, including Domestic Violence Training, Adjudicators training, Family Law training (both mediation and Arbitration) and has completed internships with family mediators, family arbitrators, and labour adjudicators. When not settling disputes, Chuck can be found blowing his bagpipes, and keeping local youth out of trouble. He is the proud papa of three wonderful children, and lives in picturesque Mount Forest with his wife. Complete Curriculum Vitae of Chuck Matheson. James Loh is a highly respected mediator in Kitchener. He has an M.Sc. in Family Studies (Individual, Couple, Family and Group Therapy), and a B.A. in Psychology. James is a member of the Canadian Psychological Association, a certified clinical member of the Canadian Counseling Association, and Accredited Family Mediator with the Ontario Association for Family Mediation (OAFM), a member of Family Mediation Canada (FMC), member of the ADR Institute of Ontario (Canada), member of the Association of Family and Conciliation Courts (AFCC), Accredited EAP mediator with the Workplace Mediation Association, and an accredited conflict auditor with the Conflict Auditors Association of North America. His current interests and private practice caseload include mediation, men’s issues, sexuality, sexual offence, risk management of parolees in the community, family violence, adolescence, parenting, parenting coordination, workplace violence, trauma, and pain management. Treatment modalities include Individual, Couple, Family, and Group Therapy. Other services include Assessment, Mediation, Family Law Arbitration, Family Life Education, Critical Incident Stress Debriefing, Workshop/Training, Consultation and Clinical Supervision. His private practice serves clients in Guelph and Wellington, Peel, London, St. Catharines, and Waterloo Regions. 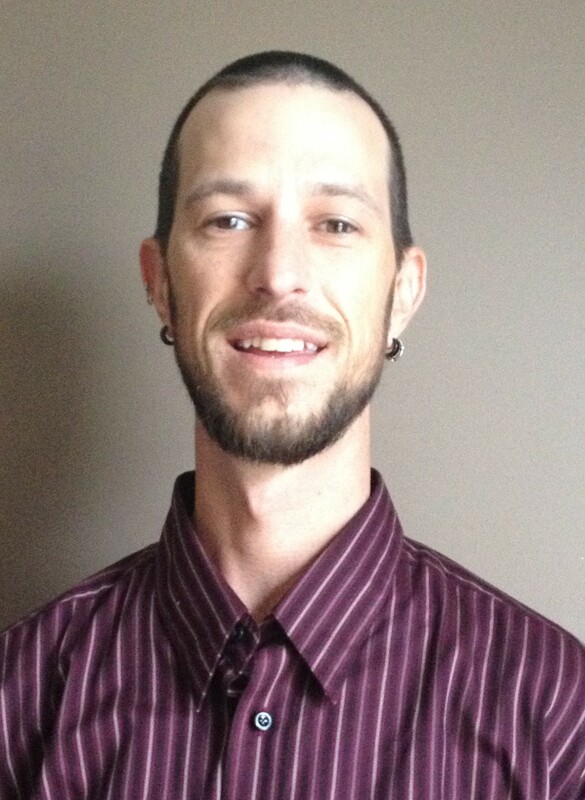 He is on the roster for the St. Catharines and Welland (Niagara region) Ministry service provider (Centre for Family Mediation), and via the AXIS roster is trained to provide both on-site and off-site mediation and is a Mental Health Professional presenter for the Mandatory Information Program in any of our service areas. 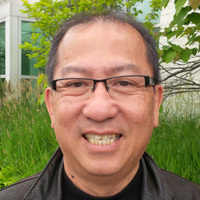 As part of his community development, he is a member of Queen Elizabeth Public School Council in Kitchener, a member and Board of Director of the Sand Hills Community Development, Inc. in Kitchener and Waterloo, past volunteer for Resettlement of Vietnamese refugees in Kitchener-Waterloo and Toronto, and a founding member and Board of Director of the Brighton Yards Housing Cooperative in Waterloo. Complete Curriculum Vitae of James Loh. 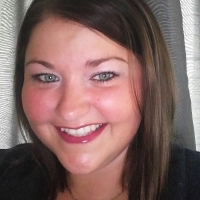 Rebecca has a Masters in Social Work from the University of Michigan and undergraduate degrees in Psychology and Political Science from Alma College. Rebecca has had extensive experience with the family courts in regards to child protection and how separation in the family can impact children through working various Children’s Aid Societies in the province. She has dedicated her career to engaging families to find the best outcomes for their children and is a believer that all parents are the experts on their situation and simply need access to resources. Rebecca spends her free time chasing her little ones, reading the same story sixteen times and having nursery rhyme dance parties. Patricia Bidgood is a registered Mental Health Practitioner and accredited Family Mediator who has been practicing in the Kitchener Waterloo area for more than 25 years. She has Master’s Degree in Social Work from Wilfrid Laurier University. Years of clinical practice and training has contributed to a broad range of clinical interests and skills. She has extensive experience in domestic violence and high conflict families as well as children, adolescent and adult mental health. She has worked as a clinical therapist, life coach, parent educator, parenting coordinator, social work consultant and team leader across mental health, education and private practice settings. 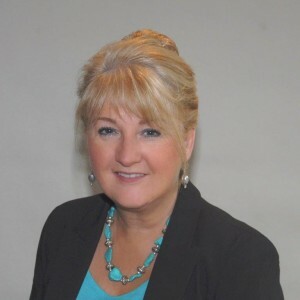 Patricia has provided professional develop to educators and educational support staff, mental health professionals, small businesses and the general community. A natural progression from her clinical work with families has led Patricia to the field of divorce services and mediation. Recognizing the often painful and challenging experiences of adults and children during separation and divorce Patricia is committed to helping families rally their best resources to make these transitions as successful as possible. Patricia will mediate both parenting issues and comprehensive agreements. Patricia has also mediated: disputes between parents and educators, workplace disputes among employees, employee/management; victim-offender reconciliation, and has conducted restorative justice circles with adolescents and families. 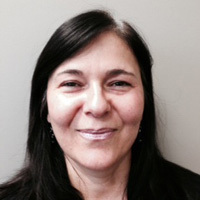 Patricia’s professional Affiliations include Ontario College of Social Workers (OCSWSS); Ontario Association of Social workers; Ontario Association for Family Mediation (OAFM), Alternative Dispute Resolution Institute of Ontario (ARDIO). Patricia and her husband are the proud parents of six young adults who have taught them several life times of humbling lessons. Complete Curriculum Vitae of Trish Bidgood. Debra Rodrigues, a Registered Social Worker, has more than 30 years’ experience working with families. Deemed an expert in family matters by the Courts, she has presented at numerous conferences including the Ontario Courts of Justice Conference, Ontario Association of Family Mediation and Family Mediation Canada conferences. She has been professionally quoted in magazines and newspapers and has appeared on television programs. Her professional background is extensive: Director of PCCS Mediators & Counsellors, Family Mediator, Elder Mediator, Child Protection Mediator, Workplace Mediator, Custody and Access Assessor, Office of the Children’s Lawyer Clinical Investigator, Parenting Coordinator, Family Group Conference Coordinator, Capacity Assessor, Parenting Capacity Assessor, Arbitrator, Collaborative Family Specialist, Facilitator, ADR Consultant, Counsellor, Group Leader, Clinical Auditor, Child Welfare Trainer and as a trainer for a variety of public and private organizations. Currently Ms. Rodrigues is an instructor for the OAFM Child Protection Mediation program and for the York University Family Mediation Certificate Program and supervises mediation interns. Ms. Rodrigues passionately believes that mediation is more than just an agreement between parties but that it’s also an opportunity for renewing relationships, improving children’s lives and helping people cope with the stress and anxiety of separation. Complete Curriculum Vitae of Debra Rodrigues. 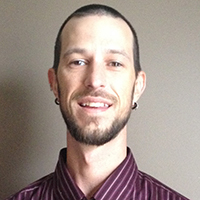 Mike is an Accredited Family Mediator and Information Referral Coordinator in the Waterloo Region Courthouse. He is also a registered social worker and a former teacher. 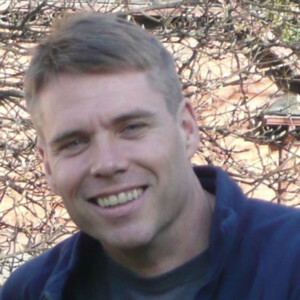 In addition to mediation services, Mike provides private counselling for teens and adults, as well as academic tutoring, and consulting for curriculum and workshop design. Mike has a passion for building positive relationships and encouraging people to become the best possible version of themselves. He helps people navigate anxiety, depression, relationships, group dynamics, and growing through life transitions. He has taught at pre-school to post-graduate levels, counselled and coached professionals from many walks of life, and worked internationally with individuals and groups in private and public schools, universities, special education, mental health, and business settings. Mike is a life-long learner. He has a Bachelor of Arts in Anthropology and a Master of Social Work from Wilfrid Laurier University, a Post-Graduate Diploma of Education from the University of Wollongong, Australia, and an Advanced Certificate in Conflict Management from Conrad Grebel University College. He also completed the Harvard Program on Negotiation for Mediating Disputes, and, for fun, Mike studies history, world religions, philosophy, and critical thinking. Outside of work, Mike devotes most of his time to his wife and children. When he finds extra time, he enjoys extreme fitness, deep conversations, strong black coffee, and, weather permitting, gardening. Complete Curriculum Vitae of Mike Leuty. B.A., M.C.A., Acc.F.M., CPMed., W.F.A. 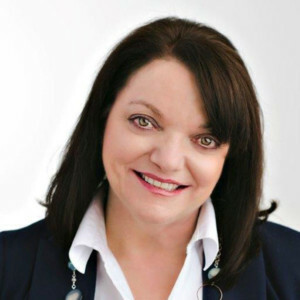 Cindy Holovac Leithead is an Accredited Family Mediator (Ontario Association for Family Mediation), Child Protection Mediator on the Ontario Ministry of Attorney General Roster, Parenting Coordinator and also provides Circle Mediation, Elder Mediation and Counselling. Cindy has a private practice in Etobicoke (Toronto). Cindy draws on her over 25 years experience supporting individuals from diverse backgrounds who are experiencing a variety of difficulties or disputes or who are involved in the family, civil and criminal justice system. Cindy possesses a BA (Hons) from the University of Western Ontario, a Master of Criminology Applied Degree, from Ottawa University and the Advanced Certificate ADR (York U) from York University. She regularly provides coaching in mediation skills to students in the York University’s ADR Certificate Program and Osgoode Hall Law Student’s ADR Course. In all aspects of dispute resolution Cindy’s approach is to be supportive and to empower all parties involved to work together to resolve their disputes by creating their own solutions that work best for them and their particular situation. In family mediation Cindy’s focus is always on finding ways with the parties to ensure that their resolutions are in the best interest of their children. Cindy enjoys her leisure time with her husband, daughter, their two dogs, along with her two grown step-children and two grandchildren. Complete Curriculum Vitae of Cindy Holovac Leithead. 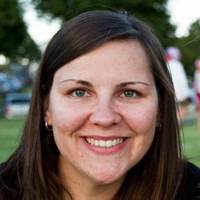 Amanda is a Secondary IRC as well as a MIP facilitator/presenter on the AXIS team. Amanda has been very passionate about conflict resolution and the mediation process since high school. After completing her BA in Psychology with Laurentian University, Amanda pursued her diploma in Family Mediation with McMaster University. Upon graduation, Amanda’s interests and efforts were recognized when she received the award for highest academic achievement. Amanda enjoyed volunteering at supervised access which furthered her interest with working with children and youth who were going through significant life changes, specifically the rights of children and youth and advocating for same. Amanda has a unique mix of legal and child and youth experience. Amanda is highly driven to assist and coach others in important life skills and choices surrounding their identity, family and social relationships and emotional and behavioral goals. Amanda takes tremendous pride when working with clients by seeking to “connect and understand” rather than “meeting and fixing”. In Amanda’s spare time, she enjoys spending time with her family and friends, travelling, reading and crafting. Complete Curriculum Vitae of Amanda Reece. Ayse Hitchins has been a court mediator since 1999 and currently serving as a Family Court Mediator in Hamilton, Milton and Brampton. She very much enjoys working with families in resolving their issues through negotiation. She has an extensive knowledge on the effects of separation and divorce on parents and children, including family dynamics and child development. She also serves a Child Protection Mediator. Having lived in many different parts of the world and through her extensive travels, Ayse has developed a great understanding and appreciation for the cultural diversity. 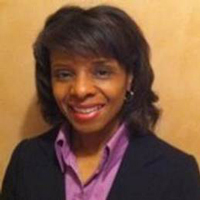 She has been a trainer and consultant since 1991 working with many diverse groups. She has designed many workshops and training sessions. All of her workshops were custom designed to serve the need of her clients, as well as her community. These training sessions were designed to provide a unique framework on conflict management and conflict resolution. She has also designed and presented workshops on Cultural Diversity, Creative Leadership and Management, Creative Communication, Becoming a Person of Positive Influence at a Work Place and Understanding Poverty. Ayse enjoys serving her community as a volunteer continuously. Over the years she has volunteered with Secondary School Crime and Substance Abuse Prevention Programs, Salvation Army, Men’s Mission Services, Sick Kids Hospital, Nursing homes, ADR Section of the University of Western Ontario, Native Women’s’ Shelter, Community Justice Circle, the National Conciliation and Arbitration Board of Canada of the Ismaili Community. Complete Curriculum Vitae of Ayse Hitchins. 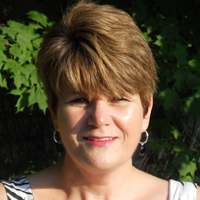 Trudi is a family mediator, primarily working out of the Simcoe and Cayuga Courts. A long-term career as a family law clerk has provided her with a solid foundation in family law and the family court system. Convinced there had to be a less adversarial, more empowering process for families to sort out their issues, she pursued additional education and received a Family Mediation Certificate from McMaster University and is now accredited with the Ontario Association for Family Mediation. 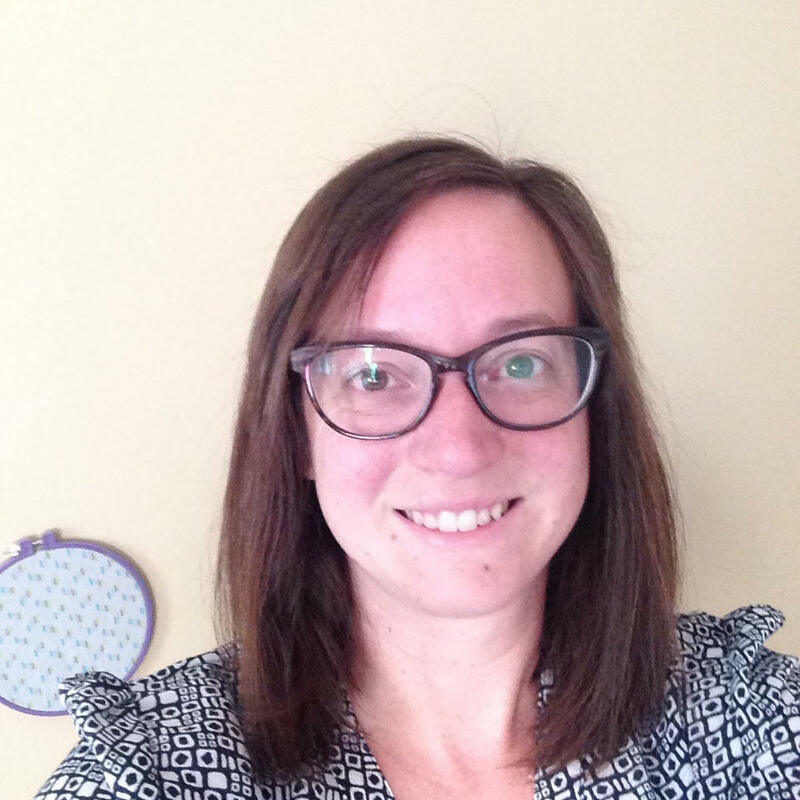 Trudi is also a Registered Social Service Worker and has pertinent knowledge of child development and family dynamics, as well as the helping skills necessary to assist families to sort out options and develop parenting plans. Trudi is passionate about helping families thrive, not just survive. Trudi enjoys travelling, spending time with family and friends and reading. She believes strongly in the therapeutic benefit of hanging out with horses and is actively pursuing certification to help people through Equine Assisted Growth and Learning. Complete Curriculum Vitae of Trudi Townsend. B.A., M.A Ed., Cert. EM, AccFM, QMed. Mary practices as a comprehensive Family Mediator and certified Elder Mediator (FMC) in Kitchener. She is an active member with Family Mediation Canada (FMC), a Qualified Mediator with ADR Institute of Ontario and is an Accredited Family Mediator with the Ontario Association for Family Mediation (OAFM). She is a member of the Kitchener-Waterloo Chamber of Commerce. She offers support as a lead mediator on the Community Justice Initiatives (CJI) roster, for the Family and Elder Mediation programs. Most of Mary’s career has involved working with children, families, service agency professionals, and community stakeholders in the early learning and children’s mental health sectors. Mary is an experienced trainer, educator, professor, parent/family workshop developer, community liaison, and early child development specialist. Mary has participated on numerous social service community planning initiatives for children and families in Waterloo Region. Mary has taught Early Childhood Education courses at Conestoga College in Kitchener. From this life work with families, grew a passion for family mediation and elder mediation. The early years are critical years. The family plays a key role in ensuring their children and elders thrive. Instability in the home is felt by children and can cause harm. Mediators help couples move forward, in a respectful and cooperative manner, so they can resolve their issues and establish new ways of being a family together, while living apart. Children benefit when parents can work as a team to solve their issues. Mary has a Bachelor of Arts (B.A.) degree in Social Science (University of Windsor), and a Master of Arts in Education (M.A.Ed.) – Adult Education and Training (University of Phoenix). Mary volunteers at: the local hospital in the Elder Life Hospital program; sits on the Mayor’s Advisory Council for Kitchener Seniors (MACKS), with several early literacy agency programs; with a local sports association, and with Community Justice Initiatives (CJI). Mary and her husband Tim have three daughters and three grandchildren. Many years were spent coaching or driving daughters to various sports. To have fun and relax Mary loves being a sports fan, NCAA events on TV, traveling to visit grandchildren, golf, playing cards, brain and board games, and some unconditional love from Dash the dog. The geek in her loves a good book about brain development. Complete Curriculum Vitae for Mary Trottier. 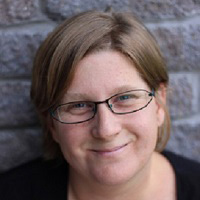 Colleen is an Information and Referral Coordinator (IRC) at the Waterloo Region Court House and Guelph Family Court House; and is a registered Social Worker with the Ontario College of Social Workers and Social Service workers. Colleen has recently graduated with honours from the Paralegal program at Conestoga College and has experience with a variety of Family Law issues from both a legal lens and from a social/family/relationship lens. Colleen is a life-long learner, and is dedicated to ongoing professional development pursuits, one of which involves obtaining a Certificate in Conflict Management and Mediation at Conrad Grebel University College in Waterloo. 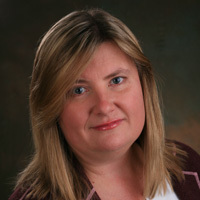 Combining both the knowledge and experience of over fifteen years working as a professional social worker with knowledge of the law and court processes, procedures and rules; Colleen has a strong desire to assist the public in accessing available services, navigating legal systems, and obtaining support while maintaining important relationships. Colleen has undergraduate degrees from Wilfrid Laurier University in Sociology, Anthropology and Women’s Studies. Colleen has a Master’s degree in Social Work with an Individual, Family, and Group clinical concentration from Wilfrid Laurier University, and over 15 years of professional social work experience in a variety of healthcare and community settings. During this time, Colleen has assisted individuals and families in a variety of conflict situations, from helping to facilitate between clients and program managers, senior administrators, and government programs, to managing conflict among family members and couples on a variety of issues including communication styles, substitute decision making and health care issues. A travel enthusiast, Colleen’s favourite destinations to date have included Santorini, Rome, Venice, and Barcelona. Complete Curriculum Vitae of Colleen Davies. 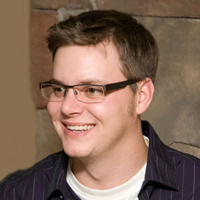 Derek is an IRC and MIP facilitator/presenter primarily for the Brantford area, while also filing in at other locations. Derek is a valued support worker with over 15 years experience working front line where he has provided direct support and counseling to individuals in need. His strong interpersonal skills, and ability to manage stressful situations, compliments his client centered approach to empower clients in achieving their goals. Derek has a BA in Geography from York University and obtained a Social Service Worker diploma from Medix school. When he’s not working, Derek enjoys spending time with his wife and two kids, and remains actively involved in coaching youth sports. Complete Curriculum Vitae of Derek McGrattan. Marie-Jose is a student of the Masters in Peace and Conflict Studies Program at Conrad Grebel University College at the University of Waterloo on a part-time basis. She holds two certificates in Mediation; One through Conrad Grebel University College at the University of Waterloo and Conestoga College, Kitchener. Marie-José has worked in the field for twelve years. 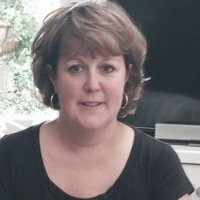 In addition to being an IRC and MIP presenter for AXIS, she also works at Community Justice Initiatives, a world leading agency in Restorative Justice, where she facilitates Conflict Coaching training for parents in divorce disputes and family centred meetings. MJ is also a member of the Restorative Community Circle in Waterloo Region and co-chairs the Cambridge Mobilization Team where community agencies collaborate to connect individuals and families to resources in the region. 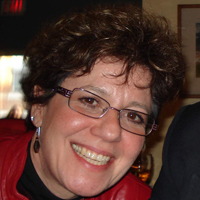 Marie-José has taken many workshops and courses that inform her work on a professional and personal level. These include: facilitated dialogue, family group conferencing, Restorative Justice in the workplace, schools, community and Victim Offender Reconciliation (court diversion programs). Professional Development includes: Cycle of Abuse at Renison College, Advanced Conflict Resolution workshops and Peace Making Circles. It is Marie-José’s lifelong journey to inspire and empower others to reach their best selves on a personal and professional level. This includes her two teenagers, who also challenge her to practice parenting in a restorative way! Complete Curriculum Vitae for Marie Jose van der Zande. Andrea Watt is an Accredited Family Mediator (Ontario Association for Family Mediation). She is also an Information and Referral Coordinator (IRC). She does the Mental Health portion of the Mandatory Information Presentation (MIP). Andrea’s time spent as a Mediator IRC and MIP presenter is primarily in the Brantford Simcoe and Cayuga areas. Andrea possesses a BSc from the University of Guelph. She is a graduate of the Certificate of Dispute Resolution Program at York University. Andrea completed her Family Mediation courses and 100 hour internship with Riverdale Mediation. She is a skilled family mediator who helps married and common law spouses negotiate the financial and emotional transitions involved in separation and divorce. With Andrea’s mediation approach separating couples can develop mutually acceptable agreements in a confidential setting, and resolve matters in a way that best meets the needs of all family members. She brings a complimentary skill set from successful careers in both Sales and Not-For- Profit Fundraising. 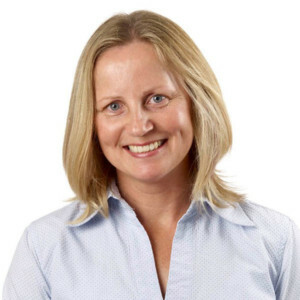 Andrea enjoys spending spare time with her husband, two teenagers and Shih Tzu- Maddy hiking and sailing. She is the Registrar with the Oakville Strokers- a volunteer run organization helping stroke survivors. Curriculum Vitae for Andrea Watt. Rosa Barraco is an Accredited Family Mediator with the Ontario Association for Family Mediation. Her career path progressed towards family mediation after repeatedly observing the impact of separation and divorce on the families she worked with during her careers as a teacher and financial advisor. When children are involved, the need for parents to have tools to cope and effective therapeutic support in place for their family, is paramount. By providing negotiation and conflict resolution services, Rosa is committed to helping individuals and families minimize both emotional and financial life altering disruptions while navigating out of a close relationship. Rosa attained a Bachelor of Arts from the University of Western Ontario, followed by a Masters in the Science of Education from Niagara University. To compliment these studies of her early years, Rosa acquired a Certificate in Family Life Education from Ryerson University, and later while working as a teacher in the public elementary school system, completed an additional qualification as a Specialist in Special Education. More recently, she completed the York University Certificate in Dispute Resolution; she combined this training with her knowledge as an educator and financial advisor to became a member of the profession of Accredited Family Mediators in 2015. Her professional development choices continue to focus on both financial and mental health studies related to separation and divorce, towards helping her clients negotiate durable agreements. Rosa enjoys a diversity of activities in her life outside of her career. At home, her family keeps her on the go as she and the father of her children share the roles as cheerleaders and chauffeurs for their teenage children. Time dedicated to her personal growth entails volunteering with community services and events. Curriculum Vitae for Rosa Barraco. LL.B. LL.M. (ADR) Acc. FM.